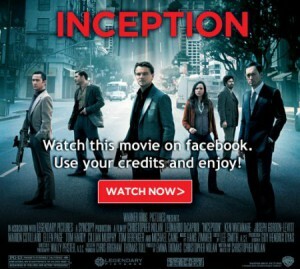 Warner bros recently started featuring movie rentals via facebook using credits. They gave the service a test ride with Batman: The dark knight, and now they are adding more big movies like harry potter and inception as well as a few more. So if you still have some free credits lying around go catch a movie at warner bros fb page.